Everyone’s taste in decorating is different, what one may like another person may find distasteful. 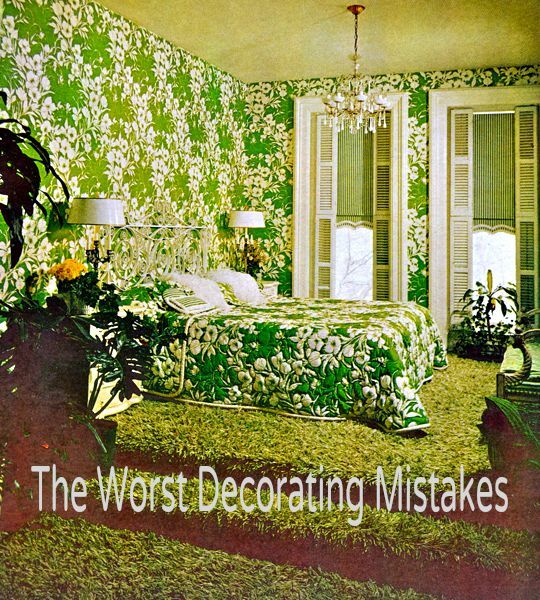 I have accumulated a collection of the decorating mistakes that I bet we can all agree belong in “The Worst Decorating Mistakes” category. Doesn’t everyone want their houseplants to match your bedspread and wallpaper? The shag carpet is deep enough for your dog to get lost in. 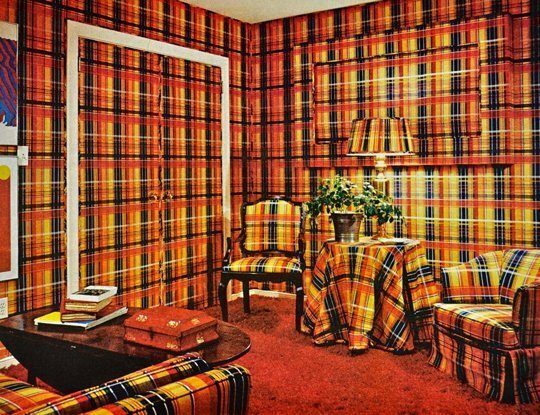 This room has to be from the 70’s. This room gives me vertigo. Do you remember the design show Trading Spaces? The designers truly had more than their share of faux pas. Lets take a look at a few of the worst. In this episode Hildi pasted hay all over the wall. 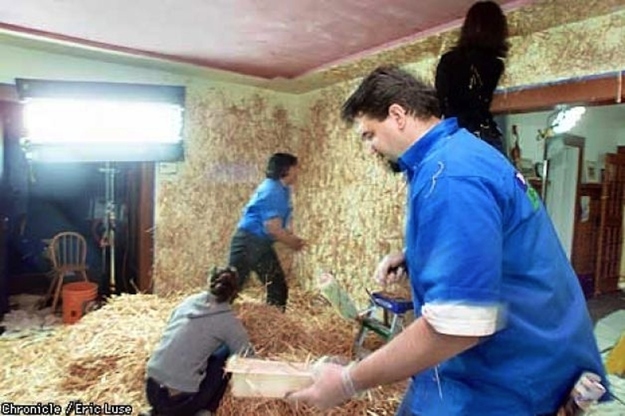 It took seventeen hours for the crew of five to remove the hay and the show paid for the removal. 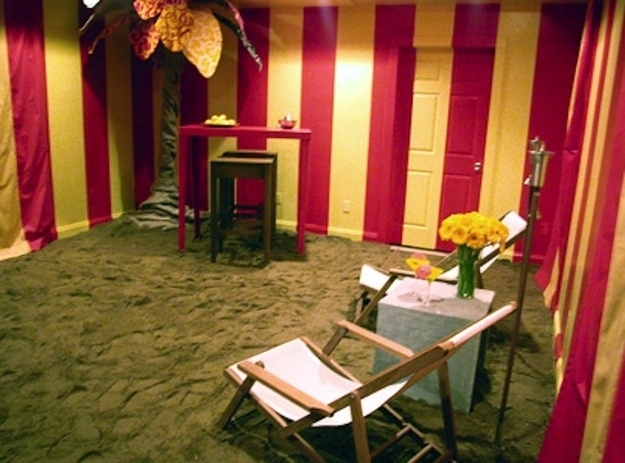 These poor homeowner’s living room was transformed into a cabana, complete with sand floors over their carpet. Yes, the furniture was bolted to the ceiling. I have definitely made my share of mistakes when decorating. The striped wallpaper I put up in our small powder room made everyone dizzy. The large floral sofa I loved in the store overwhelmed the room and I was tired of the busy fabric in no time. What was I thinking when I chose white tile for the kitchen floor? I have made many bad decorating decisions over the years, some small and some expensive. You learn from those mistakes and move on. Our new home is far from perfectly decorated but I am happy with the progress we have made. I’ll be back soon to share some tips I have learned to avoid making costly mistakes. What was your worst decorating mistake? LOL! this is a fun but so true post! I remember that show too! Worse decorating mistake probably was painting my walls blue and brown – so dark and dreary! I remember Hilty also doing a design in that show where she glued FEATHERS to the walls – why on earth did they even have her on there, hated everything she did and didn't like her personality at all, bleh. My worst decorating mistake? Well when I had my first place all to myself I really liked clean lines and contemporary – and I found this living room set of 3 pieces: small sofa, love seat and chair and loved the way they looked. OMG they were awful! They were cheaply made, stiff, uncomfortable, too short – just a huge loss of money. Then about 10 years ago I had my office painted in a deep red and it came out cranberry and I absolutely hated it and had to redo it. So those are my 2 worst ones so far. Cute post, I do remember that show and they did some terrible things to people's homes. I remember Kitty Bartholomew decorating an entire dining room with the plastic bubble wrap. I loved her show but that was awful. Also I will definitely link up on Wednesday. You and Martina are so special to me, I just haven't been posting as many 'decorating' posts this summer. I made my worst decorating mistake when I was eight years old and chose bright green campaign style furniture for my bedroom. I had to live with it until I moved out and even then it was always the guest room furniture in my mom's house. Let's just say it helped form my neutral toned design preferences! I loved Trading Places but didn't always like the finished product. Wallpaper. Ugh. I see it coming back as a trend. Not me! Not ever! It's so hard to get off but sometimes so hard to get on. I remember wall papering my bathroom once and awoke to it all in the floor. That had never happened before and I'm usually goot at it. Oh not. Never again. Ouch, that first picture makes my stomach hurt with all its busyness. My worst decorating mistakes usually occur when I try to be like someone else. assuming the contractor had picked up the correct color for our deck and then having it painted while I was away……the color was hideous…..I stomped and ranted and cried for days. Finally had it redone this summer….love it now! Pepto color walls must have been very "in" in the 80's. One of my dear friends had her living room painted that color back then. She hated it but her hubby loved it. In high school I had a neon green bedroom…probably the worst color choice I ever made! Thanks for the fun post Sherry and have a great week! In the 70s, I purchased my first home and decorated like crazy. I hired a wallpaper hanger to paper the powder room in a rather tasteful neutral metallic print wallpaper, but then went on to have the ceiling papered in a solid matching metallic. The metallic ceiling made the small bathroom feel like a very tall tube and was really disconcerting. Ha! I remember Trading Spaces, but never saw the Hildy, Hay on the Wall Episode. I often wondered if the production company paid to restore the homeowner's room to some kind of normalcy after the designers wreaked their havoc. My worst mistake was buying too much Ikea mid-century modern style furniture early on– I'm still trying to either transform or get rid of some of these things. 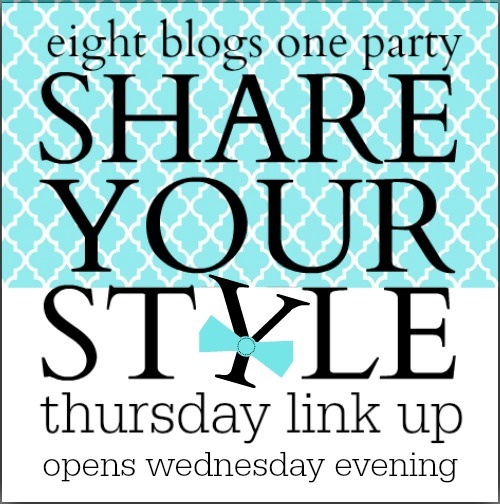 Great tips here, and you have a lovely blog. Haha! I recall those Hildi episodes well. I was like WHAT IN THE WORLD???? Love this post! Ha Ha I do remember that show and that hay on the wall oh my!!!! My worse mistake is painting a wall a dark red and thinking I was going to love that. Miss neutral with white, creams and gray thought a dark red wall NOPE that did not work out too great for me. Have a great week. Those rooms are hilarious! 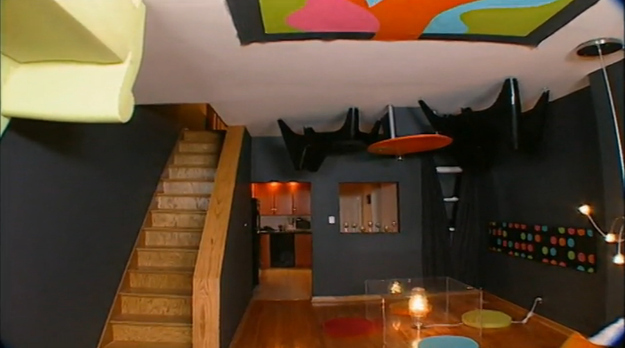 The last one with the furniture bolted to the ceiling is about the worst thing I've ever seen. Why would anyone think that was pretty? I have made my share of decorating mistakes too. I cringe when I look back at some of my older pics of my home. I decorate a lot "safer" now than I used to. I really loved Trading Spaces for making me think outside of the box but sometimes it was like watching a train wreck. Much was done for entertainment I think. What a funny blast from the past! I remember that sow well. Do you remember the time Hildy painted someone's grandmothers upholstered furniture black? The time she glued silk flowers all over the walls? I think people watched the show to see what catastrophe she would think up next. The most expensive mistake I ever made was ordering some very expensive LR furniture for myself, but trying to please the husband and my best friend. I spent far too much of my life trying to please other people. Now I do what I like, and fortunately, my husband has come around. When asked what his taste is, he always answers, "Same as hers." Smart man, don't you think? Those are some of the worst decorated rooms I've seen. Yikes! My daughter wanted her room painted orange and yellow once. It was so bright I keep going down the hall to turn off a light thinking she had left it on! Lol… Needless to say we didn't keep it that way for very long! My husband and I LOVED Trading Spaces when we were newlyweds. There were a lot of outlandish rooms that were, in hindsight, probably intentionally bad to make good television (we were still naive enough then to think reality TV was reality). There was so much good solid design too, and I really feel that show transformed the way people in my generation set-up their homes and still live today. It gave ordinary people,who would never had paid a decorator, the tools to live well and kicked-off a DIY/home design revolution! My worst mistake was that I painted my college bathroom electric blue (I was going for French Country). It took about five coats before I realized it was horrendous, but by then I was too tired to repaint it. I ended up "subduing" it with white sponge paint–all very unfortunate. Lost my deposit on that one :). Sherry you made me laugh today! I remember letting myself get talked into a carpet I knew would not work and having it torn out within a year! What a fun post! Some are probably true and some are done on purpose. LOL ! Sherry – I'm not sure if I have any major decorating mistakes (maybe some that I look back on and don't quite like the same way) but most of the time it involves a simple coat of paint to cover it up (nothing too expensive or destructive of course). You've mentioned this as your past mistake – but I have a room in my house right that's pink (Pepto Bismol-y of course) and I love it! Sherry, I did the same thing…Put white tile with white grout on the kitchen floor a week later I regretted it…What was I thinking lol! Trading spaces was awful LOL ! I once tried to paint a diamond pattern on a wall – free hand ! And my first master bedroom had Gold ceiling to floor velvet drapes with tassels – complete with matching bedspread – it looked like a brothel LMHO !!! I only just saw your blog and wanted to comment about worst decorating mistakes. We were friends with a family who's home was on "Trading Spaces". OMG…the horrible, horrible mess they did (yes Hildy!) to the teenage daughter's room. We saw it before the show aired and it looked positivly hideous in person. Every thing was cheap junk she brought with her (yes, they didn't do all their shopping locally) or truly, truly crap she found at local thrift stores and painted THE most hideous colors. The husband of the house smartly took out any elements he wanted to save and put back in after the "Trading Spaces" disaster.